Living a happy, healthy life is not a luxury, it is your birthright and I’m here to help you claim it. Click to claim this month's bonus gift: Essential Oils for Beginner's Ebook!! Did you know that when you work with me not only are you empowering yourself and supporting small business but you are empowering others in the local community as well? 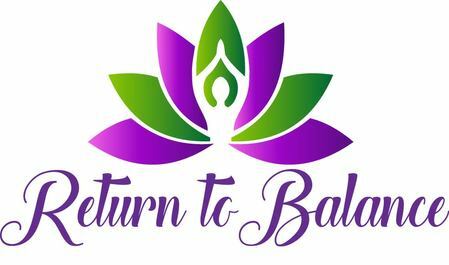 Return to Balance is excited to be part of the Monona Community and greater Madison and Dane Co community. I wish to be the change I want to see in this world and therefore a portion of my profits goes to various charitable organizations. Funds have been donated to: DAIS, Second Harvest, Briarpatch Youth Services, Goodman Community Center, REAP, local schools and more. Thank you for choosing to book your healing session with me this month! "I came to Heather suffering from a very painful lower back nerve pinch. My immediate goal was relief from the pain, and what I received was not only pain relief, but also new tools to allow me to better manage stress and my body. Heather has an incredible understanding of the physical body but also understands how energy and emotion affect our bodies. The sessions Heather provides allow for deeper healing of more than just the physical ailments. All of my sessions have resulted in healing of my physical, mental, emotional and spiritual aches and pains. Through working with her I have had the opportunity to learn breathing techniques, strategies to re-center and focus, and lower anxieties. I have become more aware of the daily stressors and negative energy that take up space and through sessions with Heather I am able to change how I react in a more positive and patient way. After just a few sessions my husband asked if I was doing ok because I was no longer reacting to stress the same way I had for years! Each session I have with Heather is like a mini-vacation that helps build and fortify the positive energy I desire to have in my daily life." Claim your free mini reset guide: "9 Simple Tips for a Pain-Free Work Day"! You may also receive my complimentary Return to Balance Ezine full of tips and insights to help you be your most vibrant self!